Ghengis Khan was one of few rulers who managed not only to unite a fractured people, but lead them on a conquest of the world. Ghengis Khan’s accomplishments are made all the more impressive by the fact that in almost every case, he defeated enemies who were better-equipped than him. 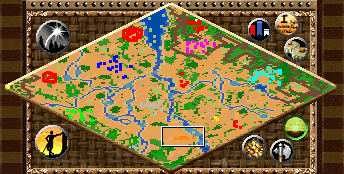 The first scenario of this campaign requires more running around than any other map. You are going to be sent out to accomplish a bunch of little tasks in order to “buy” the support of the various Mongol tribes. The easiest task is collecting sheep for the Kereyids. They have a Kara-Kitai camp due north of them with half the needed sheep, and there are plenty more scattered in just about every direction from them. Also, by completing their task, you get monks who will heal your troops and that you need in order to capture the relic for the Ungirrads. In fact, after you complete the Kereyid task, you should head south to the small Kara-Kitai monastery, destroy it, grab the relic, and then head back to drop it off. After finishing the second task, you need to decide if you want to fight light cavalry or cavalry archers. The Tayachi’uds have light cavalry and want you to kill the Naimans. The Naimans have cavalry archers and want you to kill the Tayachi’uds. Neither of them are a match for your forces, so simply pick one to kill, change your diplomatic stance with them to enemy, and wipe them out. The last task is killing Ornlu the wolf. Ornlu is surrounded by several other wolves, including the tough dire wolves. You will find him by following the skeletons that lead east from the Ughirs village. Kill him and return to the village. This is a very easy map. You have to defend your wonder and kill Kushluk. Fortunately, no one has siege engines, so it is unlikely the wonder will ever be in any real danger. Just build a few towers full of archers around it, and walls all the way around those. As is the usual case with the AI, it will not attack en masse, and will sometimes even send just a few troops to pester you. Killing Kushluk is a bit trickier. First, you have to capture the small village that lies northwest of you in order to build anything. 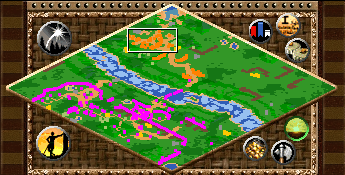 Next, he starts out in the Kara-Kitai village at the center of the map, but flees to the southwest corner where he has his own village. Because of cliffs, you have to fight through the Kara-Kitai before you can go after him. However, because you can build walls and no one can build siege engines, it is fairly easy to build a strong fortress where you can build up a large army for the task. You need to start this map by heading due east. You will run into a river, but there is a transport ship to get you across. Cross the river and then continue east into the Chinese Engineer village. Kill them off and then transport everything back to where you started the map before building your village. Although the Chinese will make the occasional raid on you, building adequate defenses is fairly straightforward. The Chinese also tend to be pretty defensive, which makes sense when you see how thick their wall is. After your village is up, you are going to want to create a breach in the wall at the west end. Use trebuchets to knock down the towers, and then move in siege rams (they go through the wall faster). If you run down the west side of the map, you will run into more Engineers and cannons which you can capture. 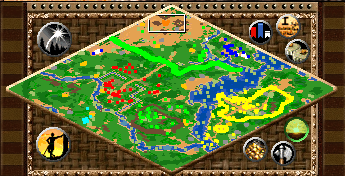 After that, the map becomes very straightforward. There are a couple of tricks that can make this map much easier. First, send one of your villagers south from your eastern town until they come to the Persian gate. Have them build a wall and gate that matches up to the Persians’ gate and then build towers and possibly a castle behind it. By doing this before you send your “gift,” you can build your defenses while you are still allied with the Persians. The second trick is to conquer the Merkids immediately. They only have two cavalry archers, and once they are dead, you “conquer” all of their structures. While you are busy killing them, have one of the western villagers build a wall around that area so that your western town is safe. There is no way to move between your towns until the Persians are dead, and since that is likely going to be the last thing you do, don’t count on it. After you finish this set-up, build up a decent size force and then send your gift to the Persians. The assassins will kill the king, and then you are playing like always against two well-developed enemies. This map is great to defend because the cliffs create so many narrow passageways that you can line them with towers and castles and slowly wear down any attacker. Start out by scouting to the west until you spot the Polish village. You can rush and capture the flag, but it isn’t a good idea to irritate them until you have defenses in place. Have a villager build a wall across the narrow passage in the cliffs and then start building towers behind it. You might also want to move all your military units over here because the Polish will attack first. After your defenses are in place, start building up your city. You can expect quite a few waves of onagers from Poland, so it might not be a bad idea to have light cavalry available to deal with them. However, after you destroy Poland you won’t face any really stiff resistance for quite a while. 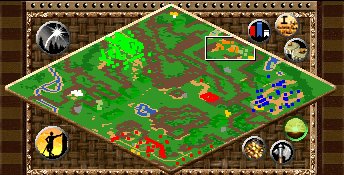 You are going to have an objective switch during the scenario that requires you to build three castles in the center of the map. However, there is so much stone you can build six or seven with ease. Make sure you build walls before building castles, though. Once they are started, the Bohemians will being their attacks and the Germans will start attacking in much larger numbers. 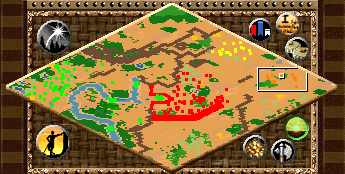 The first forty minutes of the final Ghengis Khan map are all about simple survival. If you just hold off long enough, the Hungarians will destroy their bridge and will be unable to attack anymore. The easiest way to do that is to fill the three towers closest to the bridge with archers, and then build lots of light cavalry to attack enemy siege engines. Do not worry about building up your city until then, either — it isn’t necessary or worth the cost early on. Just build plenty of farms and keep plenty of peasants working. Shortly after Subotai arrives, the Hungarians will destroy the bridge. At this point, you can start building your city. You also need to scout to the east in order to find the ice bridge across the river. 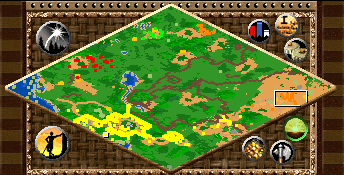 The Hungarians are blocked from using it by forest, and you will have to clear through the forest to attack them. The fast way to clear through is to start cutting the tree down, and as soon as you see it fall, build a wall on top of it. This wastes the wood in the tree, but is much faster than waiting for your villager to harvest the wood. You will need to get through fairly quickly because the Hungarians will start to build a wonder. Do not rush too much, though; you will have plenty of time to build defenses before you cut through the final section of trees. The enemy will not attack your saboteurs except with towers and castles. This makes them excellent scouts once you knock down the castle. After you break through the forest and Hungarian wall, send a cavalry unit through and towards the wonder. It will be killed by a castle. Send half your saboteurs to the castle, and they will destroy it. You can then use your other saboteurs to scout, and to kill the villager building the wonder. Follow that up with a combined force of trebuchets and units protecting them.